2015 was Skyler McCoy’s rookie season with the NVL, but he’s already made quite the impression among fans and teammates alike. Last year, he was voted the #1 Crowd Pleaser and Rookie of the Year. He managed to take home four top 3 finishes and a first place finish in Milwaukee. 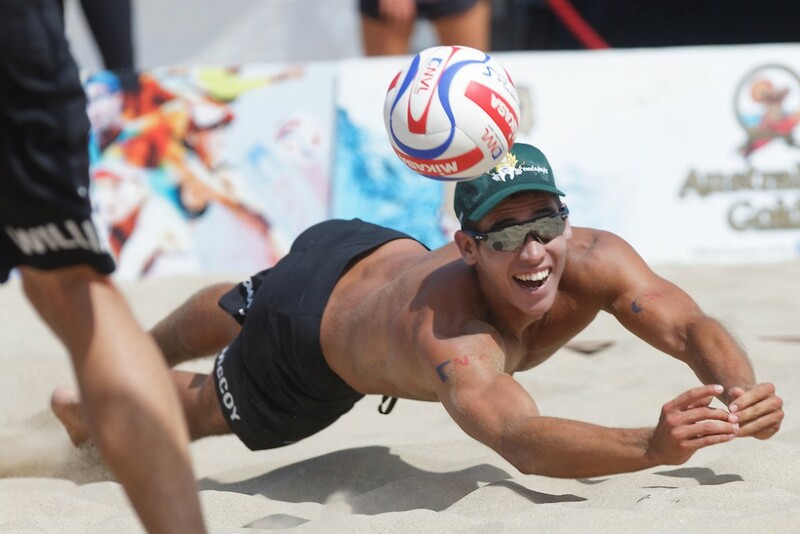 Although McCoy only recently began his pro beach volleyball career, he’s no stranger to the sand. This Long Beach native is a seasoned pro when it comes to body surfing, Acai bowls, and anything outdoors. We caught up with McCoy to talk NVL 2016, college volleyball, and his favorite past times when he’s not hitting the beach. How did you first get into volleyball? My older brother first introduced me to volleyball. After I left soccer practice, I’d just watch my brother and his friends play. Maybe it was because he’s my older brother and I looked up to him, but it just looked like so much fun. At the time, I was serious about playing soccer, but sometimes my brother and his friends would let me join in during practice. I think they could tell I was inspired, and after watching my brother and playing with him and his friends, I decided to make the switch to volleyball in 7th grade. I started out playing indoor. Did you always know you wanted to go on to play professionally? Actually, I had a lot of huge aspirations – my eyes were always big. I was definitely a dreamer. In middle school, my coach showed us a video of the Brazil international team. It was so addicting to see a team like that play so well. I knew I wanted to get to that level some day. I remember, during my freshman year, I actually mentioned in an interview that I hoped to go pro one day, and eventually make it to the Olympics. By my senior year, I was totally committed. Was your family supportive of your desires to play at the collegiate level? At Cal State North Ridge, I didn’t have a scholarship – I played as a walk on. My mom and dad gave me so much support because they knew how much I loved volleyball. It was great that they were able to see how much I loved it and they absolutely helped keep me going. I wouldn’t have been able to afford to play without them. Talk to us about your college volleyball career. My freshman year of college was very hard because, while I was on the team, I wasn’t suited up to play. This was a very trying time for me. I felt like I was in purgatory because I was working so hard and I just wanted the opportunity to play. The following summer, I won a beach tournament, which gave me a AAA rating. After that win, I tried to play on the under 21 national team for the US. I didn’t make the cut. After that, I took a step back and let it go for month or two. When school rolled around again, it was indoor time, but I still had my heart set on beach. Things have really looked up for you since then. How has your experience been playing for the NVL? It’s been so great. 2013 was my first time qualifying in the main draw at Hermosa Beach and it was so much fun. 2015 was a huge year. It was everything I could have asked for. I got to play the sport I love, and I played in 8 tournaments. I even had the chance to play with Olympian Mark Williams and won a tournament with him. There were so many positives last year and the all around passion for the sport really shined. How about when you’re not playing ball? What do you do during off season? Last year during off season, I took a month and a half off from playing. It was rest and relaxation time before I got back into the swing of things. I weight-trained at the gym five times a week and at the beach three times a week. A lot of this time is spend practicing in Hermosa Beach and getting coached by the great mind of Jeff Alzina and beach volleyball legend Mike Dodd. During the 2014-2015 off-season, I coached in Manhattan Beach for Endless Summer Volleyball Club under Jose Loiola and Dodd Volleyball School under Patty Dodd. I learned a ton from them. I also coached juniors three times a week with Misty May Treanor’s club Dream in Gold. They’re out of Long Beach, California. It’s so cool because the best way to learn is to teach. My teaching really reinforces my own skills, and I learned a lot being around Misty. It’s awesome to have the opportunity to give back to the community. What ‘s your main focus when you’re teaching? Concepts for sure – really understanding how the game is played. With indoor volleyball and beach volleyball, the lines often get blurred. Physical ability is great, but understanding concepts is what takes an athlete to the next level. 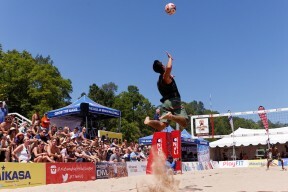 For example, beach volleyball is a very vertical game, compared to indoor ball, which is more horizontal. There’s also a certain way to pass on the beach. I’m still learning everyday. What is one lesson you’d like to pass on? The most important lesson that I can pass on is understanding how you move and why – visually, conceptually and technically. This is way more important than helping someone hit harder. What about the mental aspect of the game? How to you address that when you’re teaching and when you’re playing? You have to keep a level head. I always tell players, you can control what’s happening on your side but whatever is happening on the other side of the court is out of your control. This is a life lesson too. Don’t worry about what you can’t control. Worry about the tangibles. It’s about calming your mind. I recommend a book called Eleven Rings, which is very encouraging as far as the mental aspect of sports. It also addresses concepts like Zen and Buddhism. Anyone can walk out and teach you A +B= C and show you the game; but when you break it down, everyone is physically capable. It’s really about whether your opponent’s mind will beat you or if your mind will defeat yourself. That’s great advice. What do you see for the future of the sport? I think if you ask any beach volleyball player where they see the sport going, they are going to give you a very positive answer. With such legendary players in America, this sport has nowhere to go but up. My dream is that one day volleyball will be a sustainable profession for every player that makes it. We are all really hustling, working hard with long days, short nights, nutrition, gym memberships, and equipment. Hopefully one day soon it will be a sustainable profession for every player. 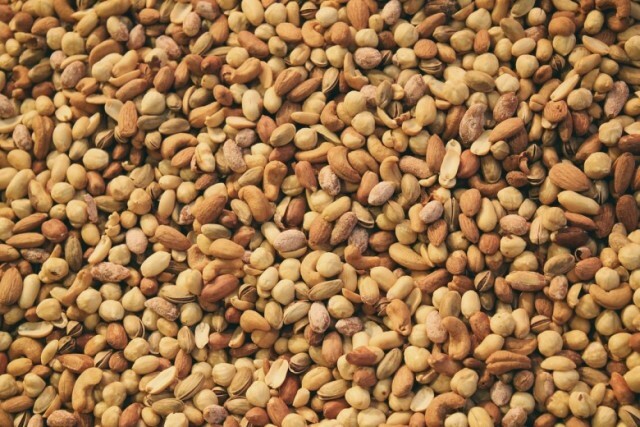 Speaking of nutrition, what’s your favorite food? Probably if I had to pin it down, I’d say Acai Bowls. Any other hobbies aside from volleyball? I really enjoy playing the guitar. My first instrument was the ukulele. I just love letting the music take over. It’s a form of meditation for me.